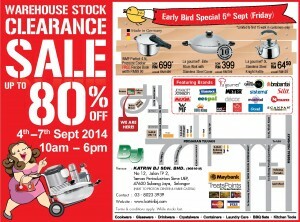 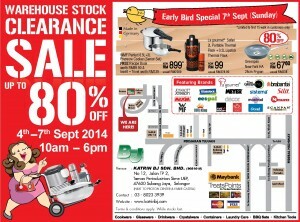 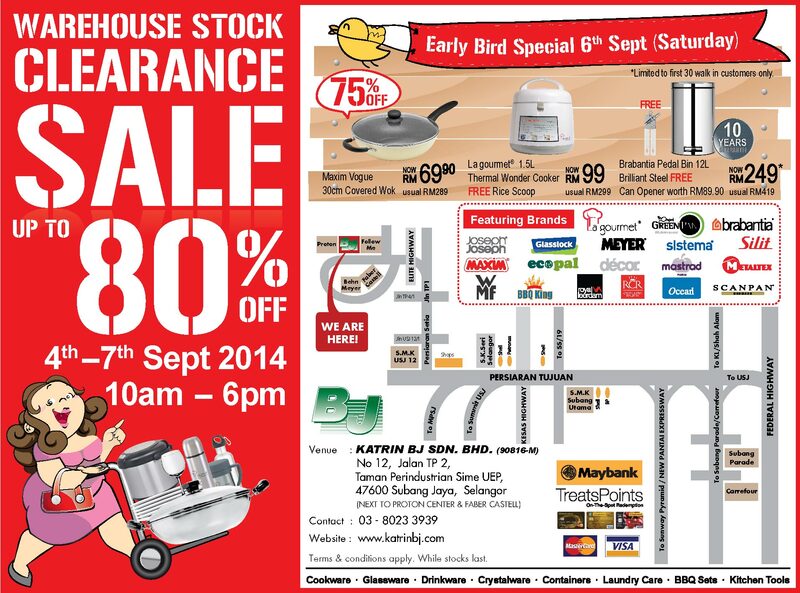 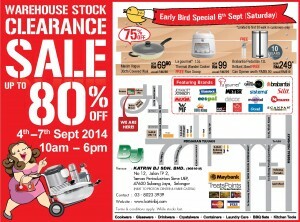 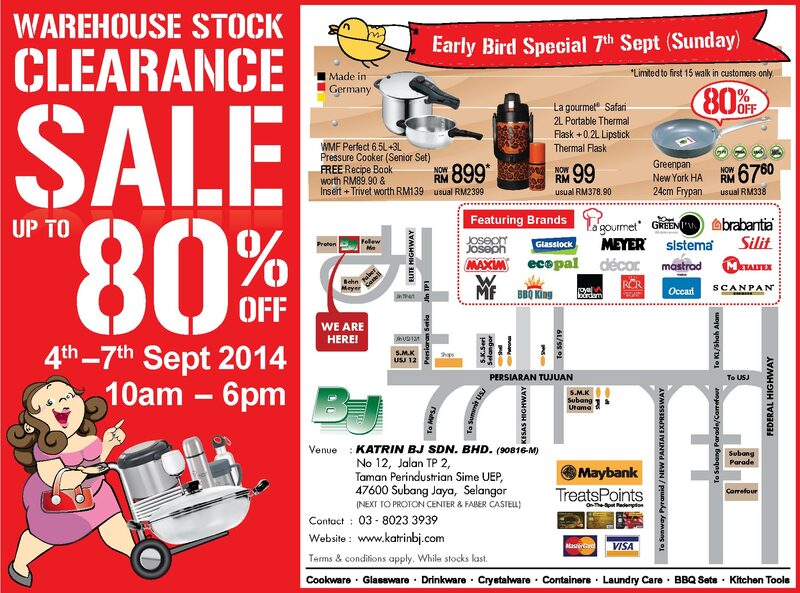 The kitchenware warehouse sale you have been waiting for is back. 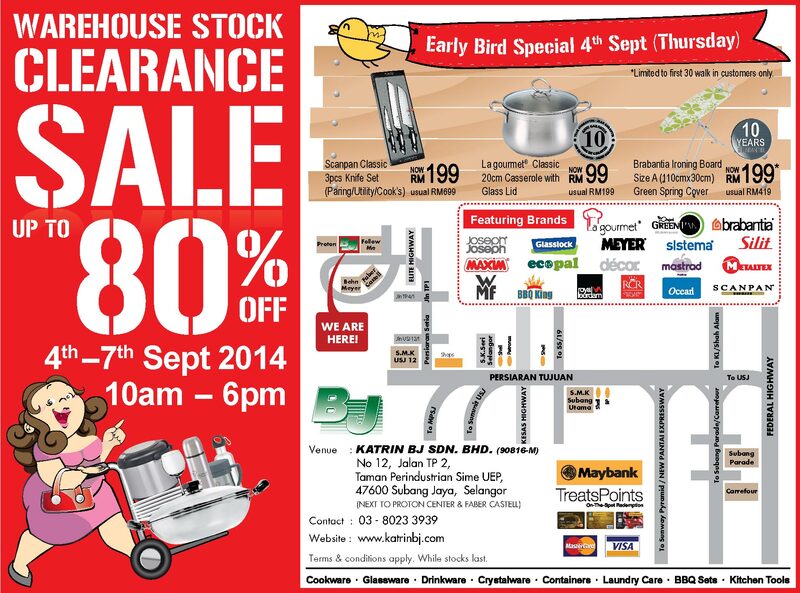 Only from 4th September to 7th September 2014, 10am to 6pm, Categories of items for sale would be Cookware, Glassware, Containers, Laundry Care, BBQ Sets, Kitchen Tools. Brands like La gourmet, Greenpan, Brabantia, Joseph Joseph, Glasslock, Meyer, Sistema, Silit, Maxim, Ecopal, Decor, Mastrad, Metaltex, WMF, BBq King, Royal Leerdam, Rcr Crystal, Ocean & Scanpan.